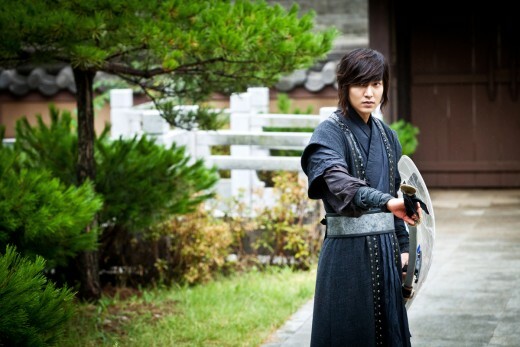 [Photo & News] Lee Min Ho shows off a manly look with his superior swordsmanship on 'Faith'. 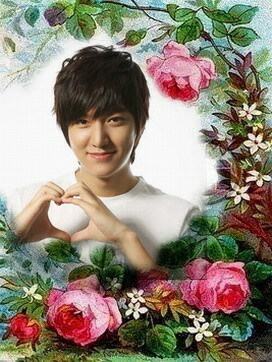 Lee Min Ho is currently attracting a lot of attention with his superior martial arts skills. In the sixth episode of SBS TV’s drama series Faith, which aired on August 21, Lee shows off superior swordsmanship in the scene of him beating his enemies. Lee gets viewers excited with his martial arts skills, defeating the enemies with his turning kick and punch. He also shows off a manly look with his superior swordsmanship, wielding a long sword as if it’s part of his body. 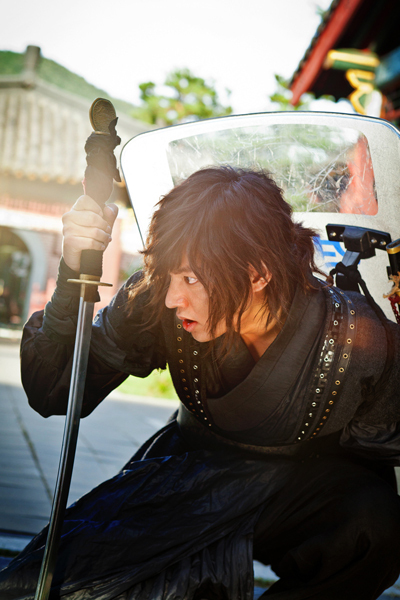 In the seventh episode of the series, which will air on September 3, Lee once again appears in an action scene, in which Choi Young tries to escape from the trap set by Ki Cheol (played by Yoo Oh Sung) with Yoo Eun Soo (played by Kim Hee Sun). The audience share of the sixth episode of Faith was 12.2%. [News] Jerry Yan ChengXu wants to Protect His Lovelife: "Please Give 'Us' Some Space!". Jerry Yan ChengXu and Lin ChiLing have been rumored to be a couple for many years; last month, at around the time of the opening ceremonies of the Olympics, a rumor that the couple had secretly gotten married surfaced. Jerry was asked about the rumor yesterday; he first lowered his head, as though lost in thought, then laughed, "How could there be such a ridiculous thing?" with a suspicious expression on his face. 35-year-old Jerry appeared at an endorsement event; regarding his secret wedding bell rumors with Lin ChiLing, Jerry said only, "How can they be so ridiculous?" Asked whether his new, top secret, $90 million NTD house in the 華城 Hua Cheng district was really a newlywed lovenest, Jerry denied it but said ambiguously, "When you meet the right "match," you'll act a little impulsively. I hope that you'll give "us" a little space. In addition to family, love is also very important . . . I hope everyone will show us a little mercy." But who is this "us"? Jerry appeared to have let something slip, but his manager insisted, "Jerry just meant that he wished to have space to be able to date or make new friends." Jerry chimed in, looking at the media, "Do you have anyone you can introduce me to?" Jerry revealed that seeing his older sister's child a few days ago really touched him. On the day of her birthday, Jerry's mother apparently made a very simple wish: "Having children around is so nice." Jerry thought his mother must have a hard time saying such things normally, like "She really wants to see a little 'Jerry'!" Jerry's upcoming movie, 'Ripples of Desire', will be released at the end of the year. Jerry admitted that the styling and image of his character in the movie, a pirate, is most like the private Jerry: "Actually, I'm normally very sloppy and very boring-- I really don't look like the Jerry you might be used to seeing, neat and elegant. Rumor has it that Jerry received $2.35 million NTD for the movie. Jerry didn't deny the rumor but said merely, "Oh, have they exaggerated it that much?" Director Chou MeiLing praised Jerry and said that his temper has improved. Jerry revealed that he has recently been taking better care of his health and that he has discovered that one's mood and feelings are heavily linked to one's health and diet. [News] Newly wed Shun Oguri busy working for 'Yang Guifei'. 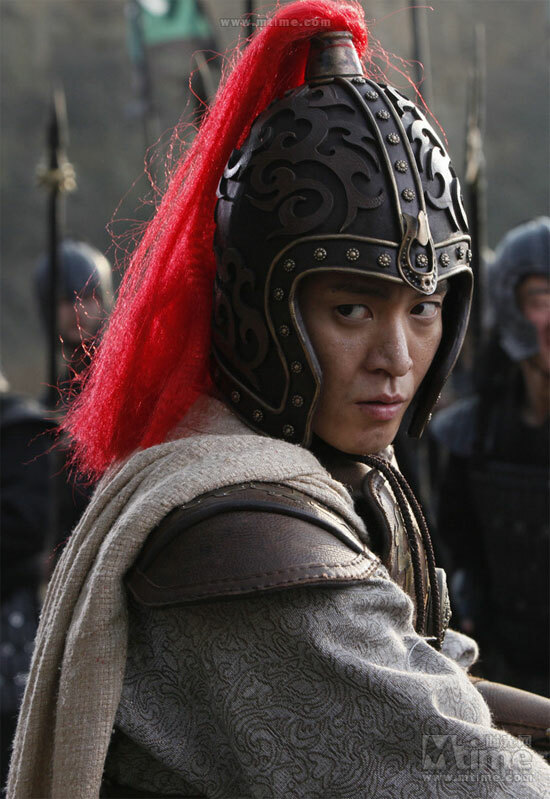 The production company for the movie "Yang Guifei" released a batch of still photos featuring Japanese super star Shun Oguri just after the announcement of his marriage on March 14th, Mtime.com reports. Oguri plays Yang Guifei's former husband. Yang is a famous beauty from ancient Chinese history. This is also the first time for Oguri to work in a costume drama. Chinese megestar Fan Bingbing will play Yang Guifei, and the movie is said to be a romantic epic war blockbuster. "Yang Guifei" is a co-production between China and Japan. Production has unfortunately fallen on rough times because of director Jae-young Kwak who recently resigned from the production team. Although some reports say Tian Zhuangzhuang will take helm now that Kwak is out of the picture, the final decision has yet to be confirmed by the production company. [News] Fukada Kyoko to play an air traffic controller in new drama ‘TOKYO AIRPORT’. On August 31st, Fuji TV announced another fall drama called ‘TOKYO AIRPORT ~Tokyo Kukou Kansei Hoanbu~‘ (lit. ~Tokyo Airport Air Traffic Services Department~) starring actress Fukada Kyoko. Air traffic controllers direct all aircraft traffic at airports. It’s the first drama on broadcast television to focus on the job of such a controller and to depict the work that happens within a control tower. The original script for ‘TOKYO AIRPORT’ was written by Uda Manabu, who already created another air traffic controller drama called ‘TOKYO CONTROL‘ for Fuji TV’s pay-TV satellite channel ‘Fuji TV NEXT‘ in 2011. Fukada is playing a woman named ‘Shinoda Kaori’ who was working as a ground staff member at the airport. After receiving her state examination and going through a strict training period at the Aeronautical Safety College, she eventually becomes an air traffic controller just before turning thirty. Haneda Airport is the busiest airport of Japan with at least one aircraft taking off or landing every two minutes. In one year, it handles around 62,000,000 passengers (around 170,000 per day), which makes it almost impossible not to face various troubles and difficulties every day. In the first episode of the drama, ‘Shinoda’ almost causes a serious accident because of a careless mistake. Everyone in the control tower has to be absolutely concentrated, especially when bad weather is making their work more difficult than it already is; after all, they are protecting the lives of millions of people. There is more than enough material for a thrilling and fast-paced human drama, with each episode featuring realistic scenarios that have already happened at airports. The filming is going to begin in mid-September and will be set at various places inside Haneda Airport. Fukada will also get the opportunity to enter the actual control tower and observe professional air traffic controllers in action. The co-workers of ‘Shinoda’ will be played by Sasaki Nozomi, Kaname Jun, Seto Koji, Seto Asaka, Tokito Saburo, and others. Fuji TV is going to air ‘TOKYO AIRPORT ~Tokyo Kukou Kansei Hoanbu~’ every Sunday at 9:00 pm, starting sometime in October. [News] Takimoto Miori to star in the drama adaptation of Miyabe Miyuki’s ‘Perfect Blue’. On August 29th, it was announced that actress Takimoto Miori will be starring in the live-action drama adaptation of famed author Miyabe Miyuki’s mystery novel ‘Perfect Blue‘. It will be Takimoto’s first time to have a sole starring role in a drama on a commercial network. Moreover, TBS will be airing the drama in prime time, which makes it an even greater opportunity for the young actress. The story revolves around the all-female ‘Hasumi Detective Agency’, where Takimoto plays one of the female detectives named ‘Hasumi Kayoko’. 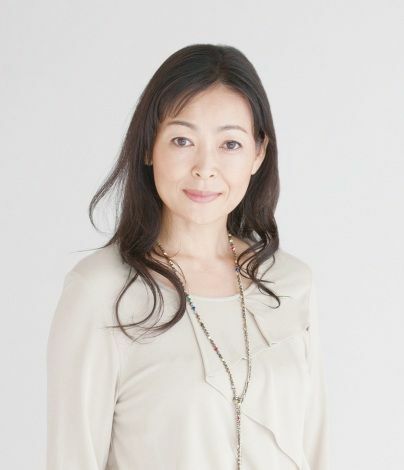 The agency is run by her mother ‘Hasumi Kyoko’ (Zaizen Naomi). Terawaki Yasufumi is going to play the owner of a bar close to the agency. Another female detective will be played by Hirayama Aya, while the agency’s personal guard – a former police dog by the name of ‘Masa’ will be voiced by Funakoshi Eiichiro. ‘Perfect Blue’ was Miyabe’s first long novel and was released in 1989. In 2010, WOWOW already adapted it into a TV movie starring Kato Rosa, which was also screened in cinemas nationwide for a whole week. However, this time they are changing parts of the story by adding characters and elements from Miyabe’s other novel ‘Kokoro Torokasu Youna: Masa no Jikenbo‘, hence the addition of a speaking dog. TBS is going to air ‘Perfect Blue’ every Monday at 8:00 pm, starting on October 8th. [News] 2PM’s Nichkhun charged summary indictment. 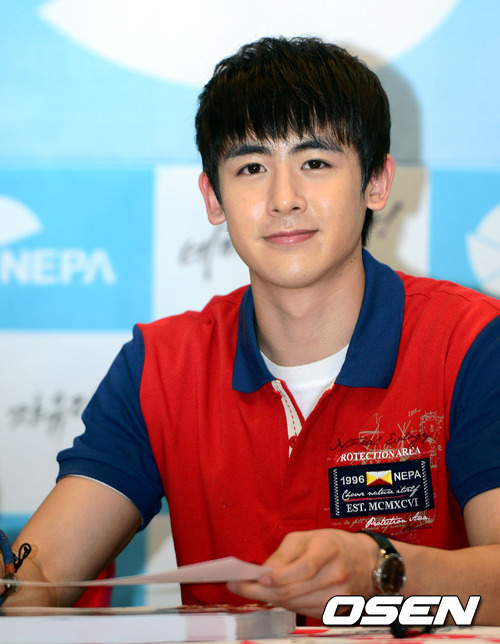 K-pop idol group 2PM’s member Nichkhun has been summarily indicted by local public prosecutor. An official from Seoul Metropolitan Police Agency said Thursday that the prosecutor in charge indicted Nichkhun as summary offense for a fine of four million Korean won [approximately $3,530] after driving under the influence of alcohol, according to Korea's entertainment news agency STARNEWS' report on August 30. “Nichkhun’s blood alcohol level was not that high and he is in agreement with the victim whose injury was not so severe,” the official reportedly said in the news. “For the aforementioned reasons and similar cases in the past, we've decided to make this suspension. The victim also doesn’t want Nichkhun’s punishment,” the prosecutor added. On July 24, Nichkhun hit a motorcycle in southern Seoul while driving with a blood alcohol level of 0.056 percent, which resulted in the suspension of his driver's license. Nichkhun and the motorcyclist came to an agreement on July 31 and the 25-year-old star visited a police station to get detailed investigations on August 2. A PR rep from his agency JYP Entertainment told the magazine Friday that the singer is still spending time alone for self-restraint. In the meantime, Nichkhun has stopped attending all activities as a member of 2PM after the accident including the firm's joint concert, "JYP Nation," which was held in Seoul on August 4 and in Tokyo, Japan on 18 and 19. [News] Kim Hee Sun’s Graduation Photo on “Faith”. As the star of “Faith,” she plays a time-travelling plastic surgeon and in the most recent episode, her character reminisces about her university senior, played by actor Ahn Jae Ok.
Of particular interest in this scene was a close up shot of Kim Hee Sun’s character’s name tag. The name tag, which is attached to her white intern gown, has a picture of Kim Hee Sun’s actual high school graduation picture. Those that viewed the picture noted that her appearance had not changed much since her younger days. [News] Younha to Sing for the “Faith” OST. It has been revealed that the songstress Younha will sing for the drama “Faith” OST. The track is titled, “Teardrop” and is about a female’s heart that longs for a love that cannot be fulfilled. It is known that a 50-piece orchestra has accompanied the song in the background. “Teardrop” is composed by producer 79, who also wrote popular hit OST’s like miss A Suzy‘s “I Still Love You” from the drama, “Big” and Baek Ji Young‘s “Same Heart” for the “Road Number 1” OST. 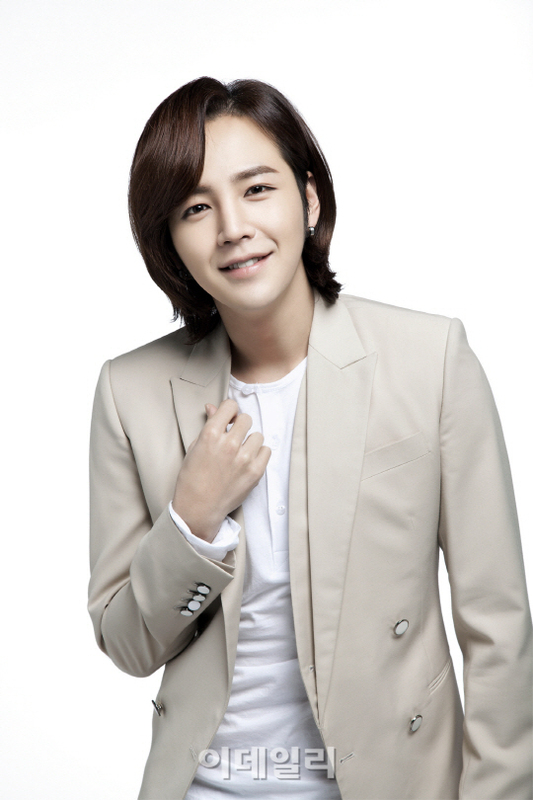 [News] Jang Keun Suk: “Press Conference Delays Have Nothing To Do With Anti-Hallyu”. Actor Jang Keun Suk has revealed that the recent press conference has been delayed due to logistics, not because of the anti-hally movement. The reporters have jumped to conclusions thinking that the cancellation of the press conference on August 22 was due to the anti-hallyu movement because of the coincidence. President Lee Myung Bak’s recent visit to Dokdo has strained the relationship between Korea and Japan. Even Hallyu stars like Bae Young Jun and Girls Generation aren’t being treated favorably from the Japanese media and it’s making Korean entertainment industry insiders nervous. [News] Moon Geun Young vs Park Shi Hoo in Alice in Chungdamdong. Park Shi Hoo will be Moon Geun Young’s love interest in upcoming SBS weekend drama Alice in Chungdamdong. As previously reported, Moon Geun Young takes leading lady role of this drama where she’ll play Se Kyung, a hard-working girl , newcomer designer in a clothing company in Chungdamdong, Seoul’s trendy area. This talented designer faces trouble when she finds that she only becomes the sidekick of her boss’ wife which is also her former high school classmate. Meanwhile , Park Shi Hoo seems to be the CEO of a high-end clothing store. So, 25-year-old super cute Moon Geun Young will romance 34-year-old Park Shi Hoo in this light, trendy and predictable love. Age-wise, it’s not the best setup but let the on-screen chemistry tells us the result. Alice in Chungdamdong follows Five Fingers next December. [News] Song Hye Gyo and Jo In Sung Considering Upcoming Drama “That Winter, The Wind Blows”. Song Hye Gyo and Jo In Sung received lovecalls a while back but they have been thinking very hard about joining the cast since it will be a long-awaited small screen come back for both of them. Other top actors such as Won Bin and Kim Tae Hee have also been considered but it is said that the continuous efforts of the production team’s casting call for Song Hye Gyo and Jo In Sung have made the two actors lean strongly toward joining the cast. Meanwhile, “That Winter, The Wind Blows” is a remake of the Japanese drama, “I Don’t Need Love, Summer.” A Korean film remake of the drama, “Love Me Not” has already been released starring Moon Geun Young and Kim Joo Hyuk. [Photo & News] Yoshitaka Yuriko to make appearance on Korean drama “Vampire Prosecutor 2″. On August 29th, it was revealed that actress Yoshitaka Yuriko will be making an appearance in the Korean drama “Vampire Prosecutor 2“. “Vampire Prosecutor 2″ is an investigative drama in which a prosecutor, played by Yun Jung Hoon, suddenly becomes a vampire. She then tries to solve several mysterious cases by utilizing his ability as a vampire. Yoshitaka will play the best fortune teller in Japan who analyzes the colors of people’s aura and reads tarot cards. Her first appearance will be on the second episode, and she will also make an appearance after the ninth episode as well. “Vampire Prosecutor 2″ will begin airing on OCN starting on September 9th in Korea. [News] Uee to Romance with Taecyeon in New Drama?! “Jeon Woo Chi” is tells the story ofJeon Woo Chi, who swallows a Gumiho’s bead, giving him Taoist magic. He uses his powers to help rescue the people from feminine and tyrannical government, becoming a legendary hero in Joseon. It will replace Song Joong Ki and Moon Chae Won’s “Nice Guy” on KBS this November. 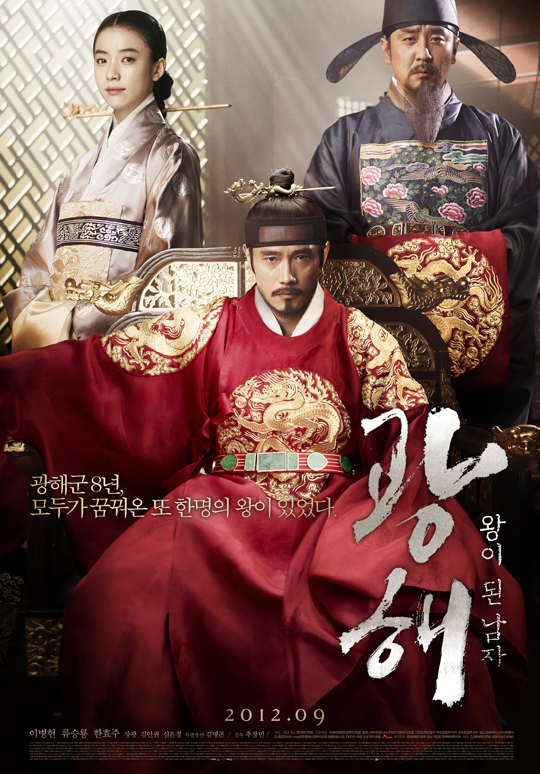 [News] Lee Byung-hun's historical pic set to open in Korea and North America in same week. Hallyu star Lee Byung-hun's first historical feature "Masquerade" will meet moviegoers both in Korea and in North America in the same week next month. The movie’s distribution company CJ Entertainment told the magazine over the phone Thursday that Lee's upcoming film will open in domestic theaters on September 20, and in select theaters in North America the following day. The official explained that the reason for the one day gap between the two premiere dates is solely due to the fact that local pictures open in theaters on Thursdays while new movies are screened on Fridays in the United States. The highly-anticipated film will be screened in 12 selected theaters in North America’s major cities such as Los Angeles, New York, and Toronto, the film's official American website showed today. "Masquerade" focuses on the story of a low class man Ha-sun [played by Lee] becoming a misfortunate historic figure, King Gwang-hae of the Joseon Dynasty. While Lee plays the double role of Gwanghae and Ha-sun, actor Ryu Seung-ryeong and actress Han Hyo-joo each play a courtier and the queen of the Joseon Dynasty in the forthcoming flick. [Photo & News] Song Hye-gyo releases teaser image. Just a day ahead of her pictorial book’s release, Song Hye-gyo has dazzled fans with a teaser image of her, apparently just getting out of bed. Netizens were impressed by Song’s just-out-of-bed look; the image was accompanied by the lively tune “Bird” by Oksang Dalbit. The book to be launched a day later is said to contain never-before-seen images of the Hallyu actress from the last four years. More than 113 celebrities are featured in the book and an exhibition celebrating the brand’s famed black jacket, shot by Lagerfeld himself. Hollywood stars like Sarah Jessica Parker, Kirsten Dunst and Dakota Fanning are also included in the exhibition. Song took part in the shoot back in October, when she was in Paris for a Chanel show. [News] Jung Woo-sung picked as judge at BIFF. Actor Jung Woo-sung has been picked to be a part of the judging panel for the “New Currents” segment at the Busan International Film Festival set for this October. The BIFF committee announced yesterday that Jung will be the only Korean judge, being placed among some of the leading figures on the global film scene. The judging panel consists of Jean-Marie Gustave Le Clezio, winner of the Nobel Prize in Literature; Japanese director Naomi Kawase; Canadian movie critic David Gilmore; and Jung. The “New Currents” will be screening films by up-and-coming Asian directors. A spokesman from the BIFF said Jung was chosen to judge this section because of his experience. [News] Jang Dong Gun Speaks on “A Gentleman’s Dignity”. After finishing filming for SBS drama “A Gentleman’s Dignity,” Jang Dong Gun (40) stated he slept for two days straight. Making a drama comeback after twelve years, and choosing a romantic genre at the age of 40, a schedule that calls for a forced lack of sleep was expected. “The fact that I was not in my best condition during filming was something I regretted the most, but through this drama I did everything I wanted to do without reservation,” stated Jang with a relieved expression on his face. In his most recent previous projects Jang worked on Hollywood film, “Warrior’s Way,” and director Kang Jae Kyu’s “My Way.” Jang stated that it was ten years worth of hardship. Receiving a love call from writer Kim Eun Sook’s for “A Gentleman’s Dignity,” Jang’s career came to another turning point. “I was able to experience the excitement and fun in being able to interact and relate directly with the viewers,” stated Jang. Human Jang Dong Gun and character “Kim Do Jin” could not be any more different from each other. Making cheesy expressions and having a tendency to be blunt and audacious, were far from who Jang Dong Gun really is. Jang sought out help from his junior actor Hyun Bin, who is currently is in military service, in order to “research” Kim Do Jin’s character. Jang also had other reasons behind choosing this genre. Starting out as an actor from youth and being ordered around, to maturing into the actor he is today was not an easy life. For 20 years it may seem that Jang Dong Gun lived a lucrative life as a top star, however, there is a behind story filled with hardship and worries that no one else can see. The reason he spent ten years for just movies was because he “enjoyed acting out big and deep emotions and expression.” The catharsis that resulted from those roles was deep, and after movie “Friend” was a hit he received the spot light for many other roles thereafter. But Jang expressed that he was never happy or satisfied to his heart’s content due to the stress and worry over “what next?” after each project. The legendary Jang Dong Gun’s youthful years have passed on by and it is hard to believe but he is already forty. “There will be more roles that I can’t take on anymore (because of my age), but on the other hand there are now roles that I am able to take on,” stated Jang. [News] Kim Sung-soo in "My Love, Butterfly Lady" with Yeom Jeong-ah. Actor Kim Sung-soo is coming back with a new SBS weekend drama called "My Love, Butterfly Lady". It is a family drama about a newly wedded wife living with the in-law's without her husband. Kim Sung-soo takes on the role of Kim Jeong-wook, a handsome elite real estate developer. He marries Nam Na-bi, a former superstar who caused enough trouble to fall cruelly down to the ground to find a gravesite that went over to the hands of someone else by his wrong doing. Yeom Jeong-ah is Nam Na-bi. Kim Sung-soo has once romanced with Yeom Jeong-ah in the 2004 drama "Say You Love Me". Kim Sung-soo said, "I am happy to work with Yeom Jeong-ah again after 8 years. 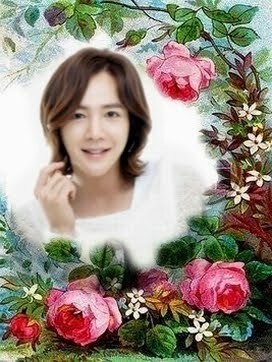 I was attracted by the Kim Jeong-wook character who is perfect in everything including looks and education". "My Love, Butterfly Lady" will be aired for the first time in October. 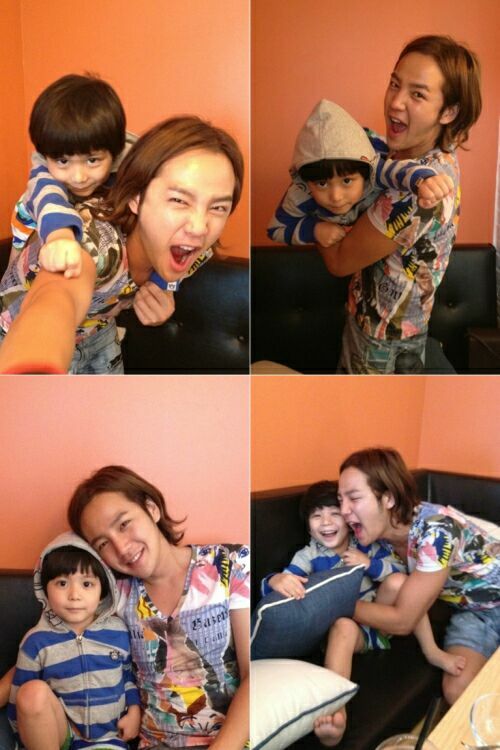 [Photo & News] Jang Keun Suk and Moon Mason spend a good time together. 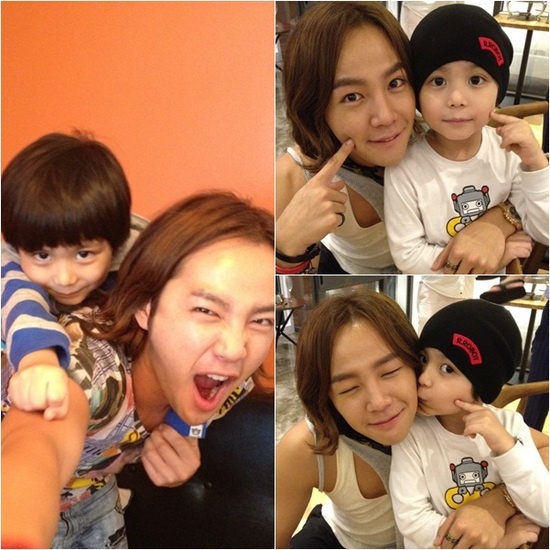 Jang Keun Suk and Moon Mason met each other for the first time in four years. 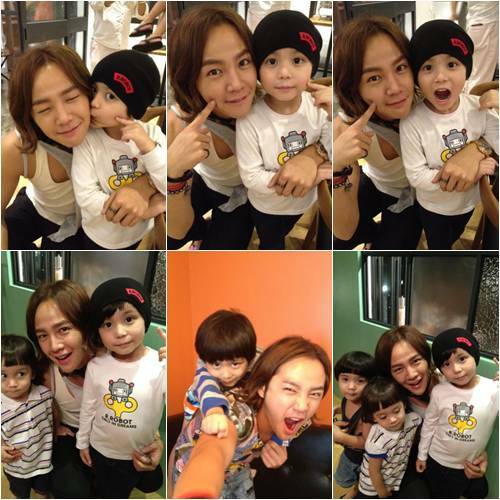 On August 27, several pictures of Jang and Moon were uploaded on Moon’s personal website with the comment, “Baby and I 2, starring Jang Keun Suk and Moon Mason?” Jang and Moon worked together on the film Baby and I in 2008. In the pictures, Jang and Moon are in friendly poses. In one of them, Jang is having Moon ride on his back and making comical face and gesture, and in another one, Moon is brightly smiling in Jang’s arms. [Photo & News] Lee Min Ho and Kim Hee Sun spend a night together in a mountain area on 'Faith'. Lee Min Ho and Kim Hee Sun spend a night together in a mountain area. In the sixth episode of SBS TV’s drama series Faith, which will air on August 28, Choi Young (played by Lee Min Ho) and Yoo Eun Soo (played by Kim Hee Sun) set off a long journey alone tricked by Ki Cheol (played by Yoo Oh Sung) and spend a night together in a mountain area. In this episode, Yoo Eun Soo talks about herself, getting closer to Choi Young. In some snapshots of a scene from the episode recently released, Yoo Eun Soo is saying something to Choi Young, lying on a blanket, and Choi Young is staring at her with an expressionless face. These snapshots show different personalities of the two characters. Their eyes directed to each other seem romantic. However, an unwelcome guest will appear in front of them and increase tension. 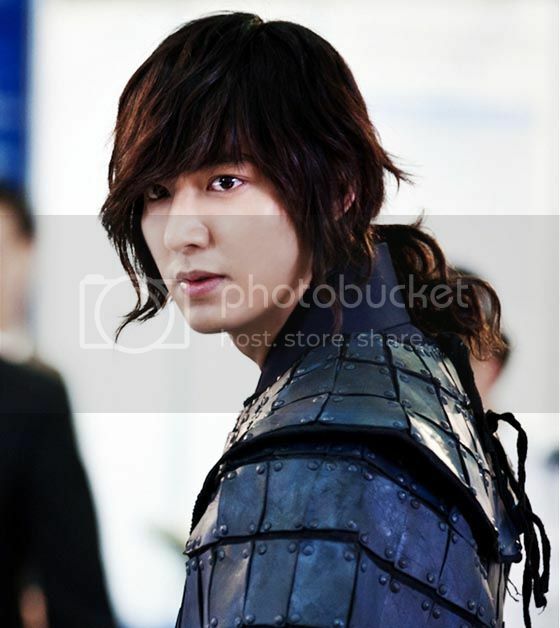 In the sixth episode, Ki Cheol’s scheme gets revealed as Kyung Chang, Choi Young’s former master, appears in front of Choi Young, and Choi Young falls into danger again. [News] “Arang” Behind The Scenes Photos of Lee Jun Ki and Kwon Oh Jung Playing Around On Set. Behind-the-scenes photographs of actors Lee Jun Ki and Kwon Oh Jung playing around on the set of MBC’s new Wednesday-Thursday drama “Arang and the Magistrate” have been released. Lee Jun Ki is making his comeback after military service with the drama “Arang and the Magistrate” in which he plays the lead role of Lee Eun Oh who gets enlisted to help a spirit named Arang, played by actress Shin Min Ah, to figure out her identity and the mystery of her death. Kwon Oh Jung plays Lee Jun Ki’s character’s close servant and advisor named Dol Swe. On the set of drama “Arang and the Magistrate,” Lee Jun Ki is known as the “mood-maker” and plays a strong role in leading the cast and staff into an enjoyable atmosphere. As Lee Jung Ki and Kwon Oh Jung are constantly together throughout the shooting, there is much laughter spread on set. In the drama as well, there relationship is uncommon. With a day and night, 24/7, unconditional love for his Eun Ho, Dol Swe brings comic relief to the drama when he becomes jealous of Shin Min Ah’s character. In the fourth episode of “Arang and the Magistrate,” Shin Min Ah’s character, the spirit named Arang, comes back to Earth as a human in a bid to find out her identity and the mystery of her death within a three-month period. When Arang meets Eun Oh again as a human, Dol Swe sees her and mistakes her as Eun Oh’s secret girlfriend. Dol Swe is overcome with jealousy and irritation that he was not informed of this new person in Eun Oh’s life. [News]“Feast of the Gods” Costars Sung Yuri and Lee Sang Woo Deny Dating Rumors. On August 27, rather unexpected news about Sung Yuri and Lee Sang Woo and their alleged romantic relationship broke out. However, both parties involved quickly jumped to deny such rumors. Previously in the morning of August 27, a news media outlet reported that Sung Yuri and Lee Sang Woo started dating in June after becoming friends filming “Feast of the Gods” together. This outlet claimed that the news has been verified through various sources. Meanwhile, Lee Sang Woo first debuted in 2005 with “Eighteen, Twenty Nine” and made his name through several TV shows including, “Life is Beautiful,” and “A Thousand Days’ Promise.” Sung Yuri first made her debut as a member of 1990s sensational female idol group Fin.K.L and has successfully launched her acting career in 2000s. She has been in “Thousand Years of Love,” “Hong Gil Dong,” “Runaway Cop,” and many other TV dramas and movies. [News] Lee Byung Heon and Lee Min Jung Briefly Dated Six Years Ago. On August 27, SBS’s “Good Morning” reported that Korea’s newest celebrity couple Lee Byung Heon and Lee Min Jung broke up six years ago. According to the report, the two actors briefly dated six years ago and broke up soon after. While they had mutual feelings for each other, their respective schedules made it difficult for them to continue their relationship. At the time, Lee Min Jung was a rookie artist, while Lee Byung Heon was one of the most popular and busiest actors in the industry. They ran into each other at public events and maintained their sunbae-hoobae (senior-junior) relationship until this year. Meanwhile, Lee Lee Byung Heon and Lee Min Jung announced their relationship on August 19. 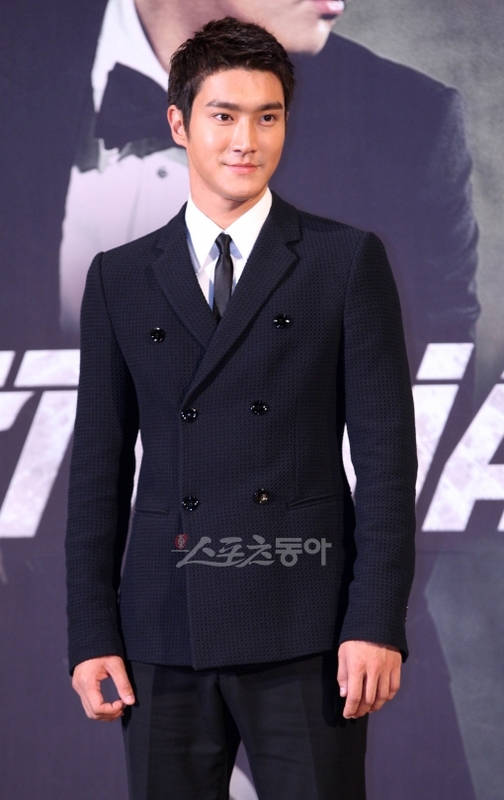 [News] Choi Si-won comes back with SBS drama. Choi Si-won from the group Super Junior is coming back as a bad tempered top star. He takes on the role of a top star in the upcoming SBS drama "The King of Dramas". Minor conditions are being discussed right now. "The King of Dramas" is about a subcontracting company which always demands money, a rookie writer who thinks a drama is human love and a national top star getting together to make a drama. [News] Sung Yuri Got a New Man? According to SportsSeoul, Sung Yuri and Lee Sangwoo have changed their reel couple status to real couple. Another celebrity couple is born! Actors Lee Sangwoo and Sung Yuri were paired as a couple on the MBC drama “Feast of the Gods” and have taken their relationship offscreen. Lee Sangwoo has been casted in MBC’s saeguk drama “The Horse Doctor,” which will start airing next month. Loved as a nation fairy during her time in Fin. 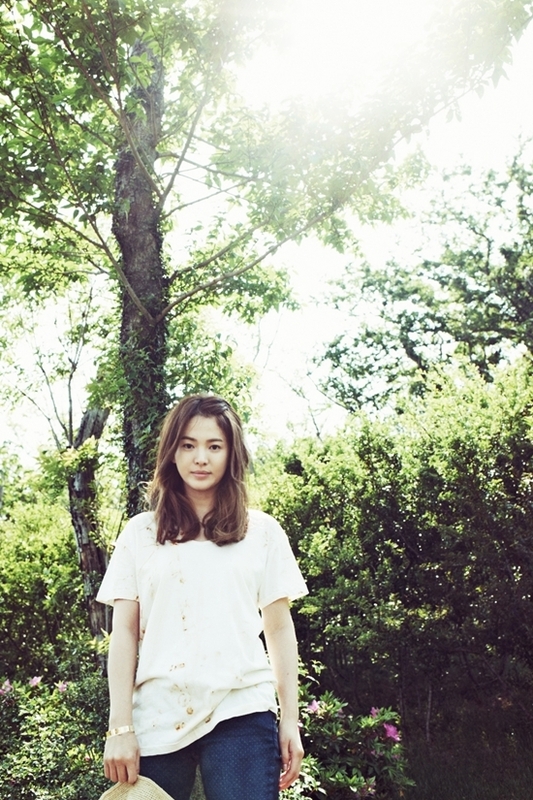 K. L., Sung Yuri has successfully transformed into an actress with many dramas under her belt. [News] Joo Sang Wook Of “Feast Of Gods” Models For Lingerie And Underwear Brand “Bodyguard”. Actor Joo Sang Wook has been chosen after actress Park Han Byul to model for the underwear brand Bodyguard.